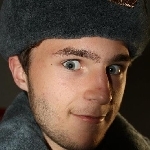 Sovietarmystuff.com • View topic - Зтравствуй! Hello, I'm from the USA. From California originally, going to college in Colorado. I'm a Russian major which is why I love all sorts of Russian stuff especially military surplus (which is why this site is amazing). I used to airsoft, for a while even knew how to take them apart and put them back together (don't ever do it, the gearbox's in airsoft guns are pure pain). And because I'm a Russian major I know a little but I'm only in my second semester so theres lots to learn. Maybe I could get some help from some of you native russian speakers here? I've gotten things from Soviet Army Stuff before, but I recently just ordered a full uniform (Khaki VDV!) and saw the forums and figured I could meet some comrades here and ask for help because sometimes all the different equipment and sizes get really confusing. Hope you have a nice stay here! I'm unfortunately not one of the professionals here, but better than nothing, aye? I'm not a pro either, just slightly crazy. I'll help with whatever I can. Good to meet all of you! I'll be sure to post a really good written or video review of it, get rid of some of the mystery. Course it has to get here first, wish it didn't take so long for stuff to get to the states.